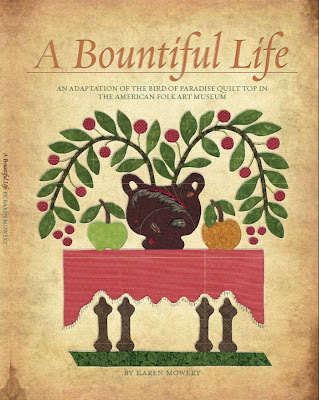 My book, A Bountiful Life, is now available for pre-order on the pickledish site! A Bountiful Life is an adaptation pattern of the Bird of Paradise quilt top which as we all know is in the collection of the American Folk Art Museum. It is one of my favorite quilts ever, one that I used to admire long, long before I ever began to quilt, back in the 70s in fact. And here is the quilt! The quilt is 69x83, quite close to the original. The blocks are square as the original blocks are (blocks are 14" square, borders are 6-1/2" wide). Dear Readers, did I make this quilt all by my lonesome? Nay, I did not. I would have had a coronary in the attempt. Eleven friends made blocks and borders (thirteen blocks and two borders); that leaves seven blocks and two borders by me :-). If I counted right; I'm too excited to think straight :-). You may notice that Block Two, instead of being the (certainly delightful) floral display that is in the original, is the Bride's Suitor (since men are just as delightful if not more so than floral displays). I loved designing these blocks and borders and also loved working on the book. 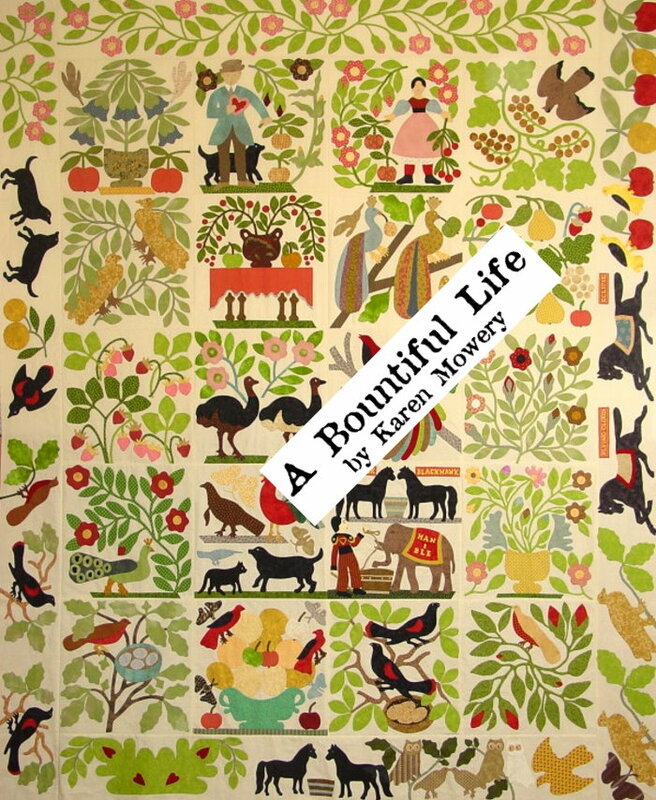 I hope that you will also enjoy the book and the quilt patterns. Wow, what a New Year's Eve 2011 turned out to be! 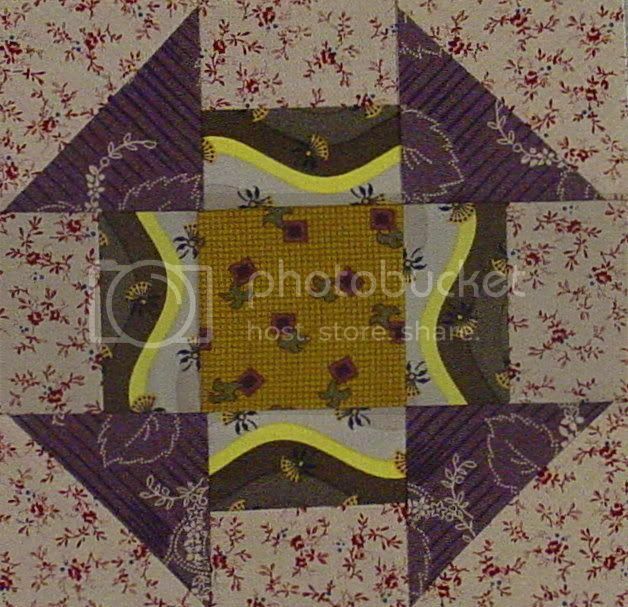 Happy New Year to us all and may we get lots of quilting done in 2012. Congratulations on the book! I've quietly followed your blog for a little while and think your work is beautiful. Oh congratulations! I know I am certainly heading over to pre-order my book. What a great quilt! What a wonderful way to end the year!! Your book looks wonderful! I love the quilt. I've been working on the Corliss Searcey version. I love how close to the original yours is. Your borders are fabulous - I love those racing horses. How exciting to have your book published! Congratulations! Congratulations!!!! So proud of you. Congratulations, Karen! This is exciting news! The quilt is beautiful. what a wonderful New Year surprise . Congratulations a splendid achievement . Congratulations! The book looks fabulous! I'll be getting one for myself!!! High five my friend! This is an awesome accomplishment! First the fabulous quilt, now the fabulous quilt! Luckily I dream in color because I will never achieve this in real life! Oh, you know I meant fabulous book! Congratulations Karen!! What a wonderful accomplishment. What an amazing book!!! Congratulations!! Congratulations! That is an amazing quilt and quite a challenge to reproduce it!! Way to go! Congratulations!!! 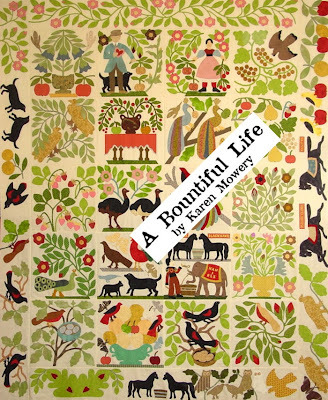 The quilt is beautiful and I'm sure the book is excellent. I have to say it again - the quilt is beautiful!!! Congratulations on your new publication; now, that is an exciting way to begin your year! Congratulations, I'm so happy for you! It looks beautiful...what a wonderful way to start the new year! This is wonderful! I am going to preorder one, even if I do doubt that I would ever actually make the quilt. How much help did you get from Rembrandt, my favorite cat? Congratulations Karen. It looks so good, beautiful quilt. For Christmas, I received the CWB pattern from AU and fabric. So exciting...but I didn't hesitate one sec to order your book. Can't wait to study them both! I really like husband you added! This is on my 2012 start list! Karen - Woo Hoo for you!!! What a great start to your year! Guess my 'Happy New Year' salutation is a bit lackluster (giggle). How exciting! Congratulations, Karen. I'm so happy for you. Congratulations on being a published author/artist! Congratulations! I have my name on the waiting list!! I have admired the original and now I am admiring your version! Thank you for all of your hard work.